У статті обґрунтовано теоретичні засади реформування морської портової галузі України. Наведено механізм реалізації логістичної стратегії морських портів України. Визначені заходи для побудови ефективного механізму розвитку морської портової галузі за рахунок: забезпечення організаційно-економічної схеми узгодженої роботи морського логістичного центру; формування системи інформаційного забезпечення; оптимізаційної моделі логістичного забезпечення; використання інноваційних логістичних технологій. У механізмі реалізації логістичної стратегії визначені принципи логістичного управління які чітко повинні дотримуватися такій послідовності дій: визначення цілей управління морського логістичного центру, які є стратегічно обґрунтованими, здійснення заходів щодо забезпечення узгодженої роботи різних видів транспорту за допомогою засобів та інструментів механізму забезпечення умов, що впливають на роботу морського логістичного центру. Ключові слова: морська портова галузь України; морський порт; морські логістичні центри; логістичні стратегії морських портів. 1. Мінакова С.М., Нєнно І.М. Теоретичні засади реалізації бізнес-моделей портів у державній морській політиці / С.М. Мінакова, І.М. Нєнно // Економіка та управління національним господарством. Випуск 30-1. 2018. – С. 47-51. 2. Плужников К. И. Глобализация производства и распределения транспортных услуг. – М.: ТрансЛит, 2008. – 320 с. 3. Тимощук О.М. Формування механізму реалізації логістичної стратегії річкових портів / О.М. Тимощук, О.В. Мельник // Проблеми економіки. – 2013. –№ 3. – С. 149-155. 4. Николаева Л.Л. Морские перевозки: учебник / Л.Л. Николаева, Н.Н. Цымбал. – Одесса: Одесская национальная морская академия, Феникс, 2005. –424 с. 5. Заєць О. Світовий досвід створення логістичних центрів / О. Заєць, О.М. Гармаш // Проблеми підготовки професіональних кадрів по логістиці в умовах глобального конкурентного середовища: VІ МНПК. – Київ, 2009. – С. 82-87. 6. Танклевська Н.С. Теоретичні аспекти організації фінансового планування на підприємстві / Н.С. Танклевська // Таврійський науковий вісник, Вип.70, 2009. – С.270-277. 7. Адвокатова Н.О., Боярчук А.І. Сучасні тенденції розвитку міжнародного ринку транспортних послуг для міжнародного бізнесу / Н.О. Адвокатова, А.І. Боярчук // Науковий Вісник Херсонського державного університету, Серія «Економічні науки», Херсон: Видавничий дім «Гельветика», 2018. - Випуск 29/2018. – С. 23-27. The article substantiates the theoretical principles of the reformation of the sea port industry in Ukraine. The mechanism of logistics strategy of sea ports of Ukraine is presented. The measures for the construction of an effective mechanism for the development of the maritime industry are determined through: provision of the organizational and economic scheme of the coordinated work of the marine logistics center; formation of information support system; optimization model of logistic support; the use of innovative logistics technologies. In the mechanism of implementation of the logistics strategy, the principles of logistics management are clearly defined, which should clearly follow the following sequence of actions: definition of the objectives of the management of the logistics center, which are strategically grounded, implementation of measures to ensure coordinated work of different types of vehicles with the tools and instruments of the mechanism of ensuring conditions that affect the work of the marine logistics center. In the mechanism for the implementation of the logistics strategy in accordance with the principles of logistics management, it is necessary to clearly observe the following sequence of actions: the definition of management objectives of the SLC, which are strategically grounded, the implementation of measures to ensure coordinated work of various types of vehicles with the tools and instruments of the mechanism for ensuring conditions affecting SLC work. In the chain of operations there should be operational and feedback, which will ensure that the actual indicators meet the normative (planned). The necessary components of the mechanism are logistic support systems, which include: creation of an economic and mathematical model for the generation of alternative cargo handling options in the port; traffic management system, information support, financial flows distribution system; selection of optimal transportation routes, selection of optimal technological schemes for cargo handling in the port; availability of port capacity of cargo handling; conformity of capacities of adjacent types of transport; provision of additional services; system of standardization, traffic safety system; system of economic evaluation, forecasting, control. Keywords: sea port industry of Ukraine; sea port; sea logistics centers (SLC); logistics strategies of sea ports. 1. Minakova, S.M. and Nienno I.M. (2018), "Theoretical principles of realization of port business models in the state maritime policy", Ekonomika ta upravlinnia natsionalnym hospodarstvom, vol. 30-1, pp. 47-51. 2. Pluzhnikov, K. I. (2008), Globalizacija proizvodstva i raspredelenija transportnyh uslug [Globalization of production and distribution of transport services], TransLit, Moscow, Russia, P. 320. 3. Tymoshchuk, O.M. and Melnyk, O.V. (2013), "Formation of mechanism for implementation of logistics strategy of river ports", Problemy ekonomiky, vol. 3, pp. 149-155. 4. Nikolaeva, L.L. and Cymbal, N.N. (2005), Morskie perevozki [Shipping], Odesskaja nacional'naja morskaja akademija, Feniks, Odessa, Ukraine, P. 424. 5. Zaiet,s O. and Harmash, O.M. (2009), "World Experience in Creating Logistic Centers", Problemy pidhotovky profesionalnykh kadriv po lohistytsi v umovakh hlobalnoho konkurentnoho seredovyshcha: VI MNPK. – Kyiv, pp. 82-87. 6. Tanklevska, N.S. (2009), "Theoretical aspects of organization of financial planning at the enterprise", Tavriiskyi naukovyi visnyk, vol.70, pp.270-277. 7. Advokatova, N.O. and Boiarchuk, A.I. 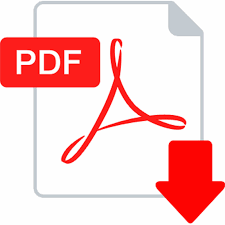 (2018), "Contemporary trends of the international transport services market for international business", Naukovyi Visnyk Khersonskoho derzhavnoho universytetu, Seriia «Ekonomichni nauky», vol. 29, pp. 23-27.